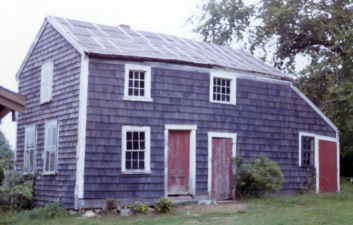 The house was built about 1774 by Mr. Phillip Lord when he married the widowed Elizabeth Kimball Warner who owned the property. We must state right here that this area of town abounded with Kimballs, Fowlers, Harrises and Lords who married each other at a rather confusing pace. Philip served in the Revolutionary War and was one of the original subscribers to the little school on Lord’s Square — just a few of the civic duties he performed. 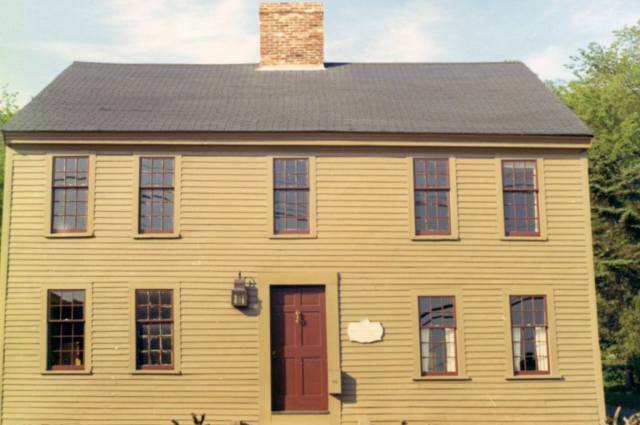 Widowed again, Elizabeth sold her house in 1806 to John Kimball, who built two other houses nearby. Photo from the MACRIS site, circa 1980, with Fewkes hosiery shop behind it. In 1832, the house was acquired by Benjamin Fewkes, one of those brave souls who smuggled the first lace stocking machine into this country from England in 1818. The machine, bought in Nottingham, was secreted in tubs of butter, and the long story of its hazardous journey is too long to go into here. 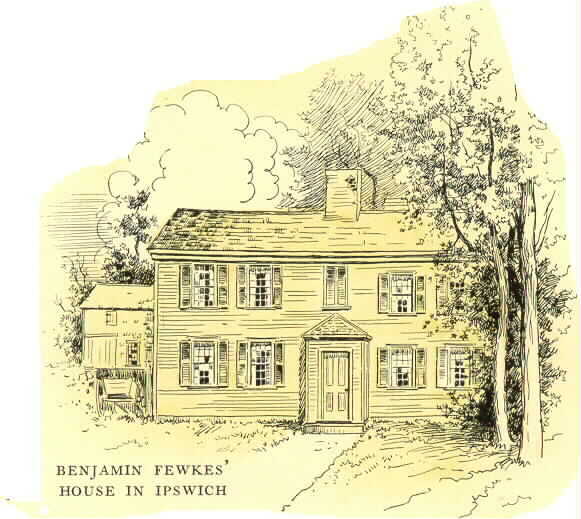 Eventually the machine, Benjamin and his partner, George Warner, arrived in Ipswich in 1822 to set up and begin the infant industry that grew into a giant. In the rear of the old house that Benjamin bought in 1832 stood his hosiery shop, and it was here that the Peatfield brothers installed the first stocking frames to be made in this country. 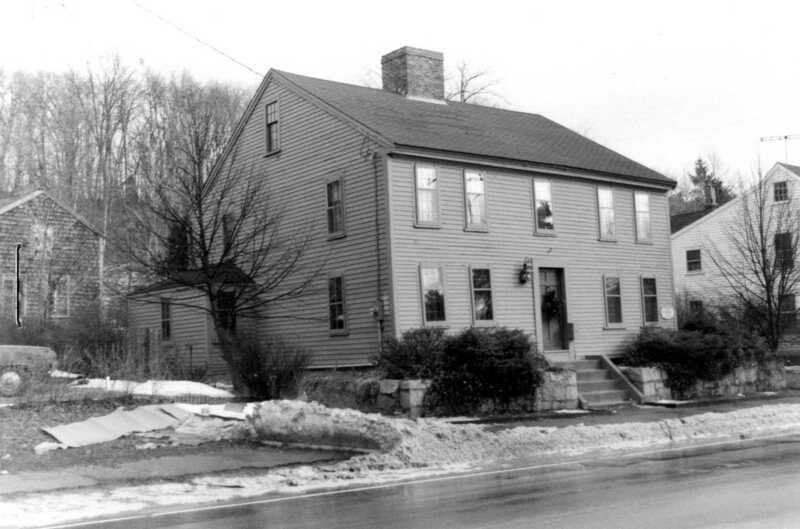 This house has a preservation agreement with the Ipswich Historical Commission.